I hope everyone has been watching the polls and been tuned into Parliament TV like I have[n’t]!! After the last piece I wrote I had people asking me who Jacinda Ardern and Simon Bridges are, which is a very common question I’ve encountered. Who are they? What do they do? You’ve probably heard or seen the names on the rare occasion, and the New Zealand Media do an unsatisfactory job explaining who they are! They just expect us to know who our country’s ‘Prime Minister’ is, which is an unrealistic expectation. Sure, I voted in the last election. Did I know exactly who I was voting for? Absolutely not, which is why I was bullied by my ‘friends’ in the Burger King on Courtney Place on election night when I revealed my vote. But it wasn’t my fault, it’s the non-informative media! So, here is a very informative piece of media to describe the most important current question in NZ Politics: who are these people?? Jacinda Ardern is the leader of the Labour party and the current Prime Minister, whereas Simon Bridges is the leader of the National Party and not the current Prime Minister. Make sense? Perfect. Let’s dig deeper. He used to be a lawyer, was raised in Auckland, and is the first Maori leader of the National Party (or ANY major party). He was elected as the National Party leader on the 27 of February 2018 which is of course my birthday, thanks for remembering! He voted against gay marriage in 2013 and will definitely vote against the legalising marijuana legislation in 2020. He does genuinely seem passionate about wanting the best for us; he is undeniably critical of Labour, but he does raise relevant points that everyone seems to be ignoring. He does seem to have a plan. He has no related meme page. Jacinda has the classic Jacindaprimemester Instagram account and Chris Bishop has Chris Bishop Memes for Politically Savvy Hutt Valley Teens, but unfortunately Simon has not. 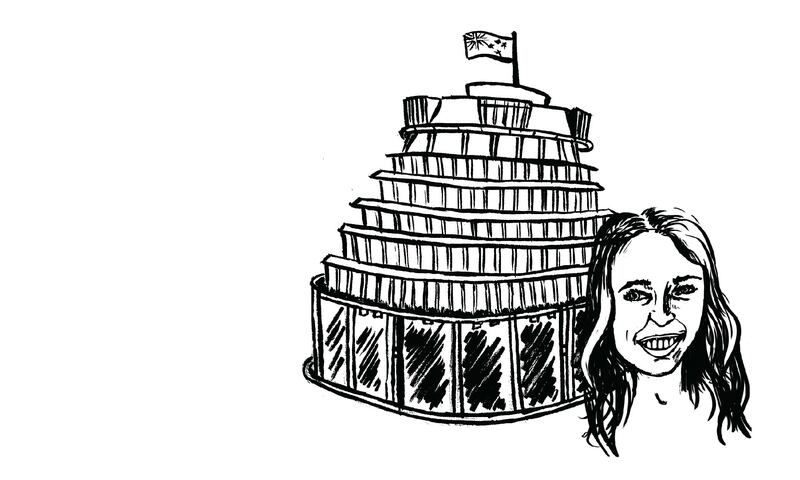 Now to the other side; Jacinda is likable, bubbly and has won not only New Zealand but the world over as being a pretty cool lady. She is married to TV fisherman Clarke Gayford (Yes, I know his name is funny, but stop being immature. Lots of people spell Clark with an e, just move on) and whilst Prime Minister has had a baby, Neve Te Aroha. This is just a brief yet detailed introduction into Jacinda, but how has she been doing as Prime Minister? Is she all she’s cracked up to be? Should I have been invited to be interviewed by Stephen Colbert instead? All these answers [probably no] and more will be the focus of my next column, so stay tuned! Now very quickly, last time I talked about Jacinda making fun of Simon but this time in my segment “Who’s Taking the Piss out of Simon Bridges This Week?” it was Deputy Prime Minister Winston Peters! Winston made fun of the way Simon pronounces the word ‘China’ (with him instead pronouncing it ‘Choyna’), which Winston instantly pounced on and claimed, “I’m becoming an expert in China but Choyna, I don’t know anything about that country.” Coming from anyone else this could have been somewhat funny, but unfortunately coming from Winston this just seems sad and mean; come on Winnie, leave your amateur stand up material for the open-mic night at the Fringe Bar. You need to learn a thing or two about subtle humour from Jacinda.